A journey of a thousand miles begins with the first step. And my second big plan for the year begins with this 10×10 cm (4×4″) square. 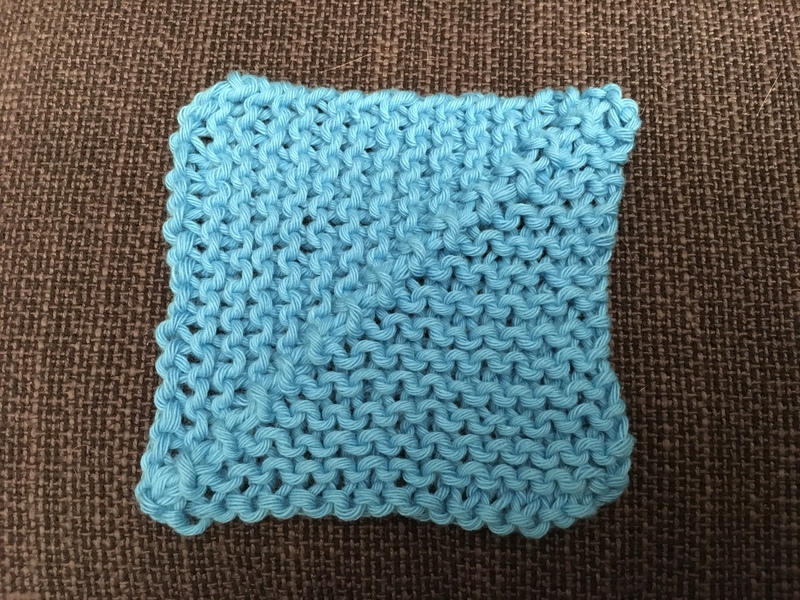 It will grow up to be a temperature blanket showing the high and low temperatures every day in the town where I live. On January 1st, that was 5.3 and 8.6 °C, which is not enough of a difference for two colors. 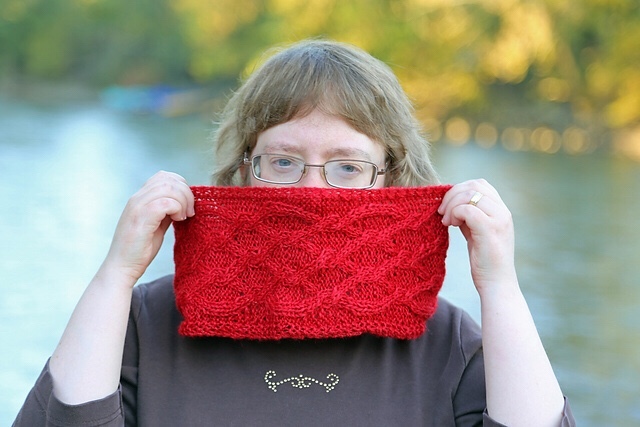 The yarn is Garnstudio Drops Paris and I’m more or less following this pattern. If we ever decide to move to Sweden, I’ll make another temperature blanket in our first full year there so we can compare. Hubby is afraid we might freeze up there, but whenever I ask Siri about the temperatures in the South of Sweden, it’s about the same as here. My Finish or Frog hasn’t been off to the best start. Shortly after yesterday’s blog post, my slight headache turned into a fully grown migraine and the blanket didn’t grow any further. 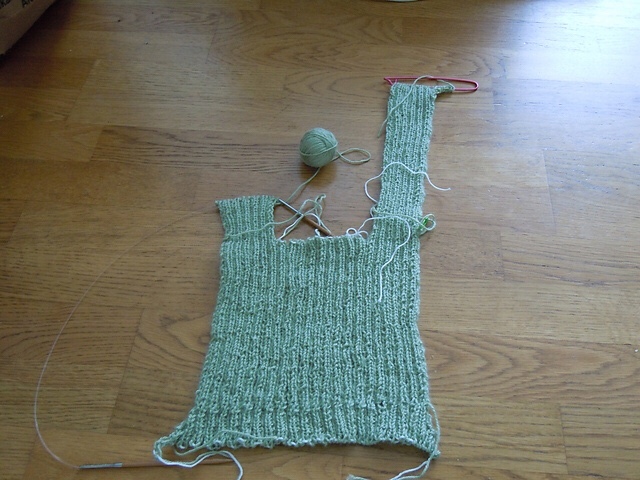 Today’s WIP was Slinky Ribs by Wendy Bernard. It’s been in hibernating stage since forever and I want to frog (and maybe restart if by some miracle I’m ever going to lose 10 or 20 kg). The sweater must have heard me, it went into hiding and was nowhere to be found. So I marked the project page frogged and the sweater will follow when I find it. I hope I’ll finally make some real progress tomorrow. If you’re German speaking and would like to knit yourself a luxurious cowl, head over to my Ravelry group, I’m looking for testers for the German version of my Red Wine Blue Grapes Cowl! Stay safe if you’re affected by storm or weather, I’ll stay inside with a blanket, cats and knitting and let the Burglind storm stay outside!